It was a culinary journey like no other: Over the course of 195 weeks, food writer and blogger Sasha Martin set out to cook—and eat—a meal from every country in the world. As cooking unlocked the memories of her rough-and-tumble childhood and the loss and heartbreak that came with it, Martin became more determined than ever to find peace and elevate her life through the prism of food and world cultures. From the tiny, makeshift kitchen of her eccentric, creative mother to a string of foster homes to the house from which she launches her own cooking adventure, Martin’s heartfelt, brutally honest memoir reveals the power of cooking to bond, to empower, and to heal—and celebrates the simple truth that happiness is created from within. If you like memoirs, and you like food, then look no further, reader friends! I've got the book for you. I was initially drawn to this book by that first line of the description. Cooking food from all 195 countries of the world? I'm drooling all over myself and I haven't even started reading yet. If you have a penchant for good eats, you won't be disappointed--Martin peppers her narrative with many of the recipes she's tried over the years, and they sound DELICIOUS. Especially the Dark Chocolate Guinness Cake with Baileys Buttercream--I will be dusting off my baking skills to try that out soon. However, when you begin reading, the culinary delights of this book take a backseat to Martin's emotional retelling of her childhood. She endured a long list of hardships as she grew up--being sent to foster care, the death of her brother, and the emotional abandonment of her legal guardians, just to name a few--but Martin has a way of telling her story that makes you feel like you are privy to not only the events of her childhood, but also to the emotional journeys that she endured during that time. This is especially true as you watch Martin's connection with her mother unfold. She really bears her soul as she attempts to figure out her mother's actions and emotions throughout their tumultuous relationship. As a reader, I wrestled with my own emotions about their problems, and any memoir that can make you feel part of such a journey is well-written indeed. Did I still get the satisfaction of reading about Martin's global culinary adventures? Yes, but by the time that part of the book unfolds, it blends seamlessly into the poignant family history that's already been building throughout the rest of the memoir. By then, the recipes are about so much more than the food that ends up on the plate. As such, the last section of the book brings her past and present together perfectly. I can't say enough good things here, readers! Go read Sasha Martin's fascinating memoir. Then cook her recipes and eat all the feelings that it made you have while reading. Want to find out more? Check out the other blogs on this book tour HERE. 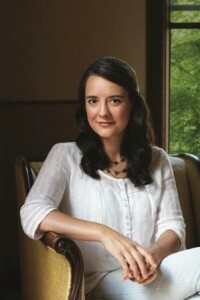 And connect with Sasha Martin on her website, Facebook, and Twitter. 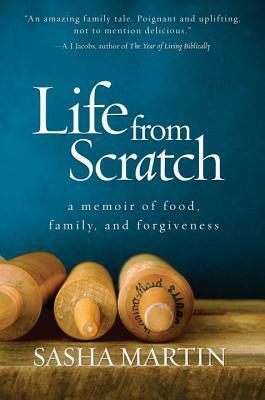 The publisher is giving away a copy of Life From Scratch to one of my lucky readers! Just use the Rafflecopter below to enter. US entrants only. Ends 3/12. The "food from all 195 countries of the world" part totally grabbed my attention, too. This sounds great, thanks for hosting the giveaway! This sounds very cool! I love the idea of trying such diverse types of food. I am suuuuuper excited to try some of her recipes. They are very diverse, but also are (mostly) pretty easy...a big plus for me! I book that starts off as a great food book but turns into a great book in general - you can't go wrong there! The Well-Read Runner: Hearts of Iron 5K recap! The Well-Read Runner: Sleep is for the Weak! New Feature: The Well-Read Runner!